‘‘Whatever you can do or dream you can, begin it. This is to promote renewable energy in general rather than just wind turbines. 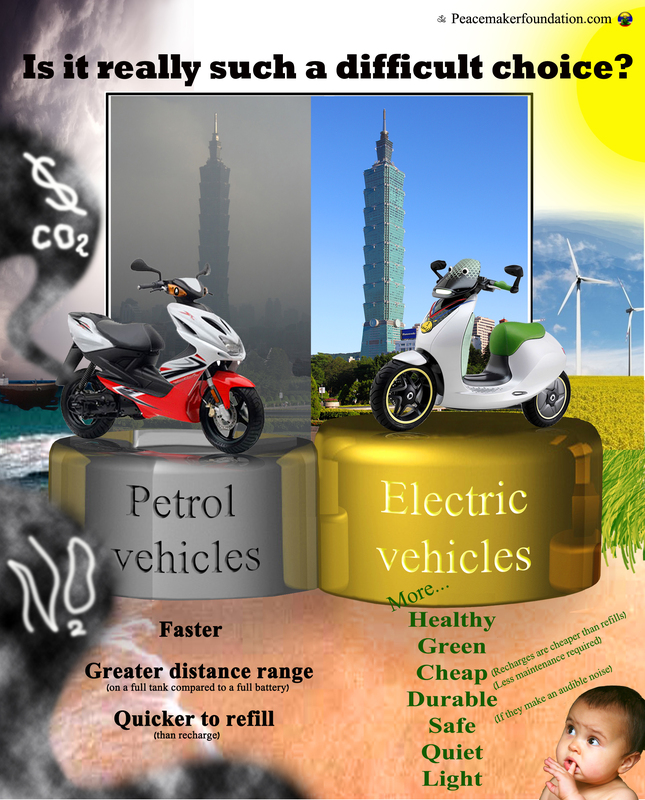 Other renewable energy options have some advantages over wind energy. For example, solar power requires no moving parts so potentially means less maintenance, no threat to birds and no noise. However; wind energy is likely here to stay for now: the energy output of some of the largest wind turbines is colossal, small turbines can conveniently be put up onto roofs or various other places and furthermore new wind turbine designs claim to offer numerous advantages such as less noise, less cost, less threat to birds, use of less space and greater efficiency. 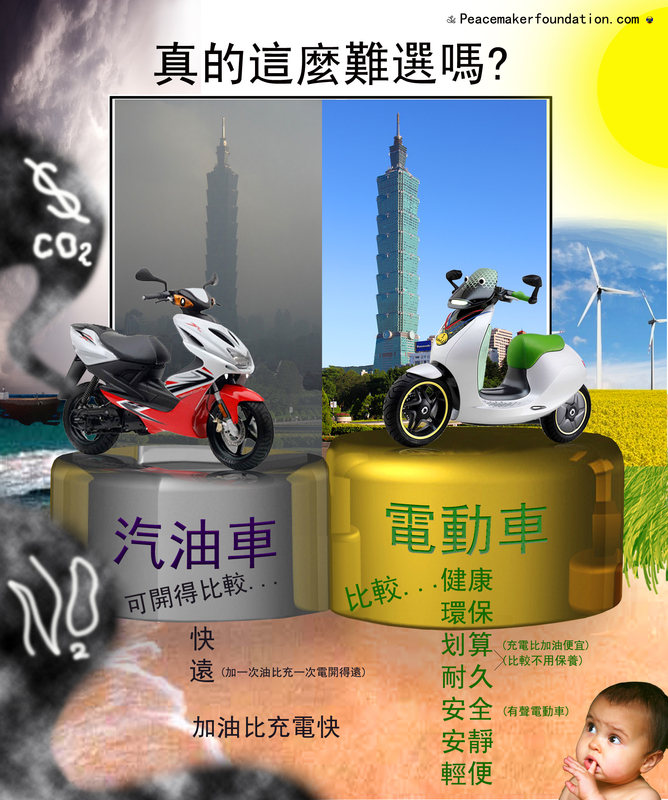 怠速引擎會浪費汽油, 浪費錢, 縮短發動機的壽命, 排放溫室氣體, 也會造成有害的空氣污染跟噪音. 不管你在那裡如果你想改善空氣品質可以自己把這些圖片印出來, 分發 (無版權). 適合展出或分發的地方: 學校內、學校大門、駕駛學校、摩托車跟汽車經銷商、公共汽車站跟火車站、垃圾車停車場、停車場及建築地盤。貼在電梯, 小便池, 或人會停留的地方可能最有效. 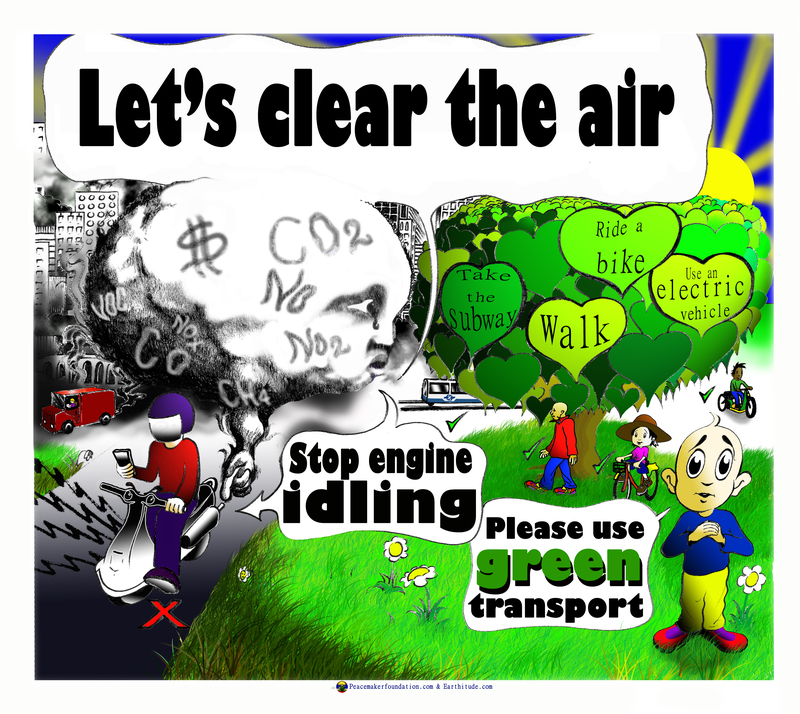 Idling engines wastes fuel and money, reduces engine life, emits greenhouse gases, and creates harmful air and noise pollution. 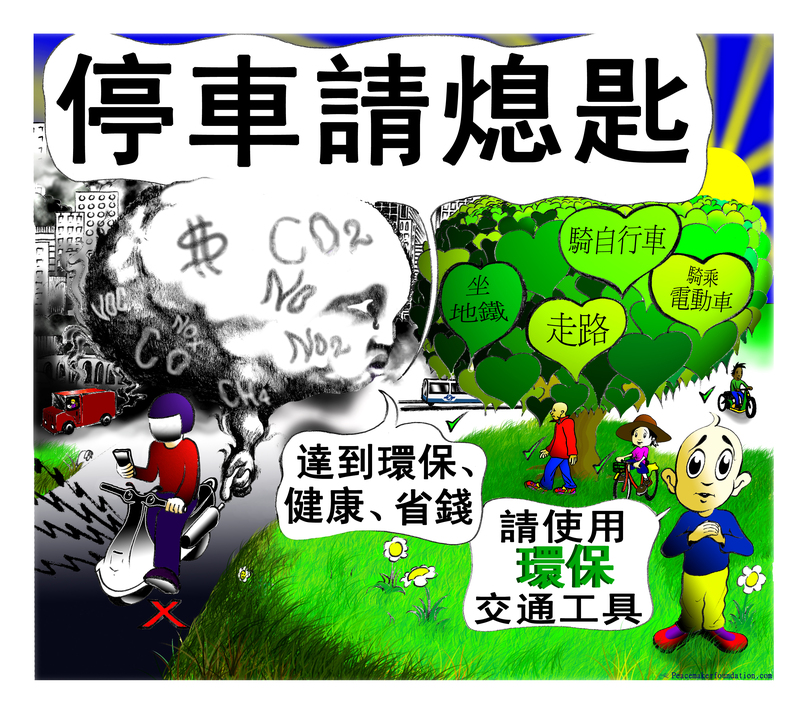 If you would like to help improve the air quality wherever you are then you can print the pictures out yourself and distribute (copyright free). Good places to display or distribute the images include within schools, school gates, driving schools, scooter and car dealerships, bus and train stations, refuse collection vehicle compounds, car parks and construction sites. Putting up images by elevators, urinals, or anyplace where people stop is likely to be effective. If you want to help this campaign then please like and share this post. You can also contact Luc via the contact form or send an email to: Luc@peacemakerfoundation.com.